Provide comfort for the family of Mildred Sluder with a meaningful gesture of sympathy. Mildred Velara Sluder of Potosi, Missouri passed away on Friday, February 22, 2019 at the SSM Heath St. Clare Hospital having reached the age of sixty-seven years, one month and five days. 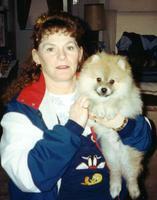 Mildred was born on January 17, 1952, a daughter of the late Oval Phares and the late Norma (Wilson) Phares. 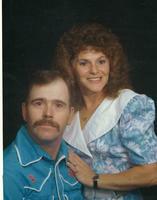 On June 28, 1985, Mildred was united in marriage to Garry Sluder and they shared thirty-three years together. Survivors include her beloved husband, Garry Sluder; four children: Larry (Michelle) Turney Jr., Billy (Melanie) Coffman, Bobby (Sherry) Coffman and Angela (Damon) Johnson; four siblings: Homer (Wilma) Phares, Lee (Scott) Mathenia, Lacy (Joyce) Phares and Faye (Gary) Henson; brother-in-law, Terry Davis; nineteen grandchildren and fourteen great grandchildren; nieces, nephews, extended family and friends. In addition to her father and mother, Mildred was preceded in death by her daughter, Nancy Turney; and two sisters: Barbara Davis and Maybell Phares. The family received friends on Sunday, February 24, 2019 from 5:00-8:00 PM and Monday, February 25, 2019 from 9:00-11:00 AM at the DeClue Funeral Home. A Funeral Service was held on Monday, February 25, 2019 at 11:00 AM held at the DeClue Chapel with Pastor Matt Woods officiating. Interment followed in the Shirley Union Cemetery. Funeral arrangements were entrusted into the care and direction of the DeClue Funeral Home. 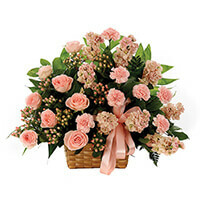 To send flowers in memory of Mildred Velara Sluder (Phares), please visit our Heartfelt Sympathies Store. 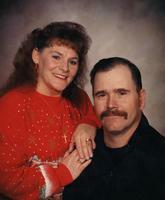 Monty and Lisa Hines sent flowers to the family of Mildred Velara Sluder (Phares). Larry and Michelle and Faye and Gary and rest of the family--So sorry for your loss. Praying for the family. You will always be in my memories and heart. Aunt MiMi, you will be greatly missed. Monty and Lisa Hines purchased the CLASSIC SYMPATHY BASKET ARRANGEMENT for the family of Mildred Sluder.